Bruges - the so called Venice of the North is one of the most romantic and famous cities to check out in Belgium. Whilst finding cheap or free accommodation on sites such as Airbnb and CouchSurfing may be challenging here, there are several hostels around the city centre to choose from. Within a 5 minute walk from the main square (Grote Markt) of Bruges to Hoogstraat 19, you will find one of the most popular hostels in town - Charlie Rockets Hostel. This is one of the oldest and most centrally located hostels in Bruges. In what used to be the biggest movie theatre in Bruges, Charlie Rockets Hostel is now one of the most trendy cafes and hostels with a very unique interior design that differs itself from other cafes and bars. The walls are wrapped artistically with newspapers, a massive chandelier along with various Christmas decorations are hung from the ceiling in the main lounge. This creates a colourful, yet medieval atmosphere for the hostel. Charlie’s bar is nearby and convenient for guests, especially if you are reluctant to head out of the hostel to a pub downtown on a rainy day. The bar is open between 8 AM and 4 AM, offering a wide range of Belgian beers, cocktails, and tapas. Charlie’s Italian restaurant is open from 12 AM until 2 PM and from 6:30 PM until 9 PM. It serves mostly pizza and pasta. A small stage lies right next to the bar, providing space for bands to perform twice per month. There are five pool tables for guests to use. This is another ideal area for you to chill and drink a bottle of beer while playing pool with a new friend. Lying right next to the pool room is a big storage room where you can leave any large luggage. There are also private lockers. There are 76 beds in 19 rooms in total at Charlie Rockets Hostel. 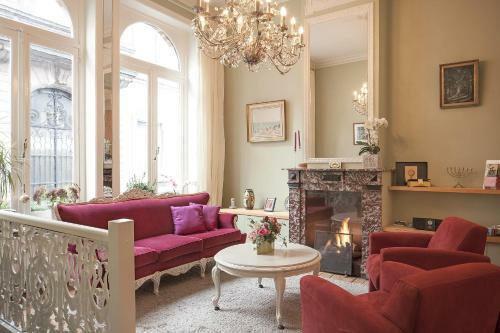 Single rooms, double rooms, and dorm beds are usually fully booked as Bruges is one of the most touristic cities in Belgium as well as in Western Europe. The price of dorm beds starts at 18 EUR (about 20 USD). A double room costs 55 EUR (about 60 USD). Breakfast is included in the double room’s price and is otherwise available to order for 4 EUR (4.50 USD). 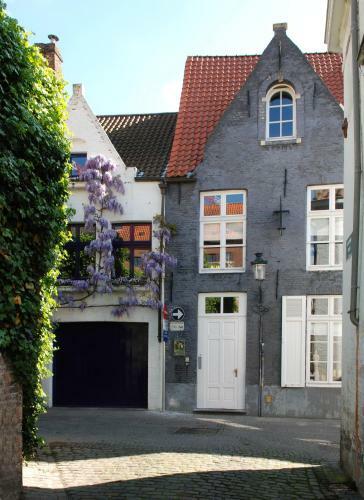 Though there’s no kitchen to for guests to cook their own meals in the hostel, grocery shops and the most popular cheap-eats and restaurants of Bruges are within just a few minutes walk from Charlie Rockets. During your stay you will get a free Bruges card for plenty of discounts in restaurants and sights around the city. Free walking tours in English or Spanish and pub-crawls (12 EUR / 13 USD for 7 beers) are organised five times a week. I highly recommend taking the free walking tour by ‘Can You Handle It.’ This organisation runs outstanding interactive walking tours for travellers in Cologne, Gent, and Bruges.